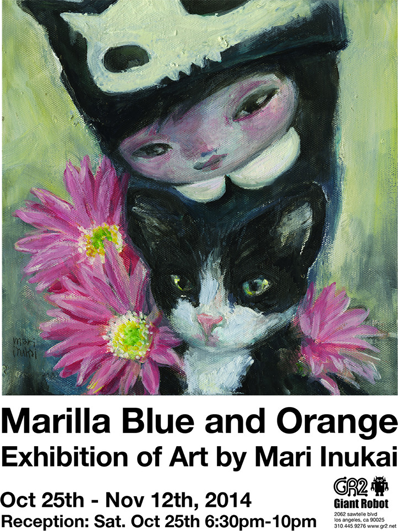 The Marilla Blue and Orange exhibition melds two worlds of Mari Inukai. 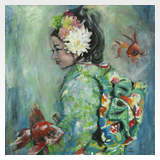 Her expressionistic portraiture, is now blurring and stepping into her other world, the imaginary. 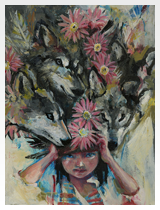 Her fictional characters, a team of illustrative creatures, which are part of her canon, appear as headdresses for her portraiture subjects. Facial expressions continue to appear pensive, yet inviting us to wonder. 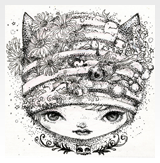 Inukai's pencil drawings continue in the same direction. We're proud to exhibit Inukai's work and hope to share the images with the world. 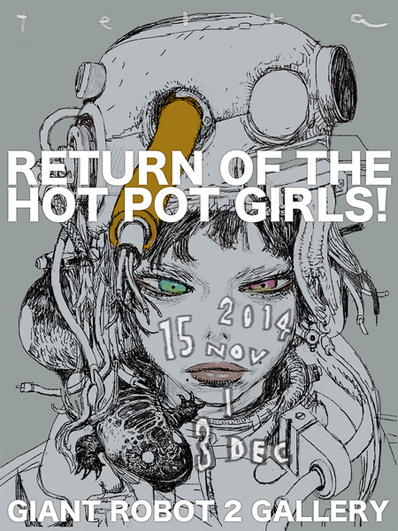 We'll exhibit both oil paintings and pencil drawings. We will be selling Snowman Monkey BBQ at $60. We will not service these books online and will not ship them. 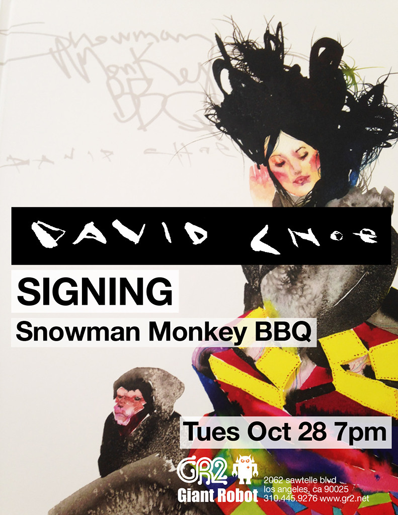 David will sign Snowman Monkey BBQ and what you purchase at GR. 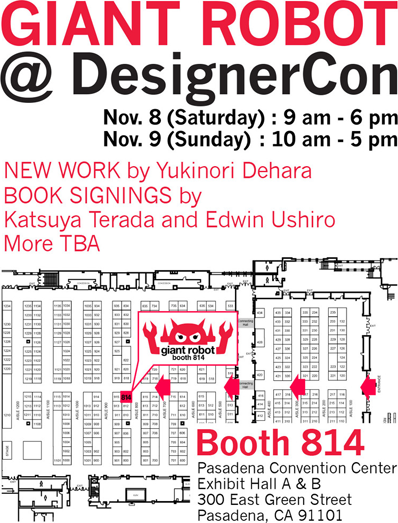 Refrain from bringing your sketchbooks. Bring your gifts and cameras. We will keep you updated on any changes. Thank you much. 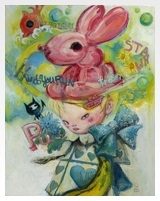 Oh and here's a link to the David Choe goods we carry, we can make every effort to get your ordered items signed for you. 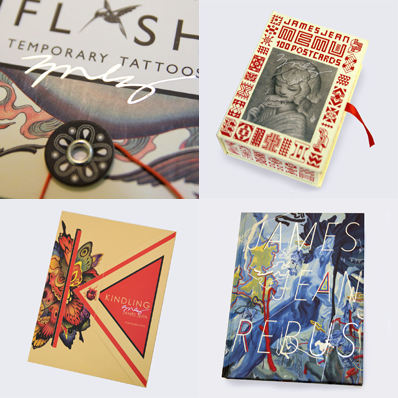 Your favorite goods signed by the artist himself! 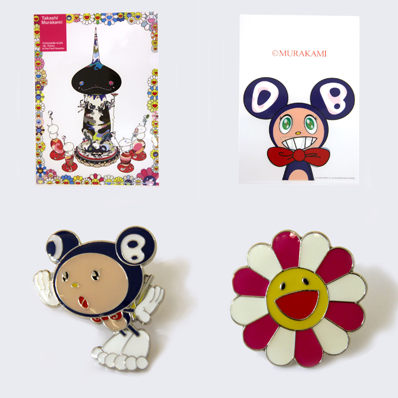 Tons of fun new goods from artist Takashi Murakami are now available! 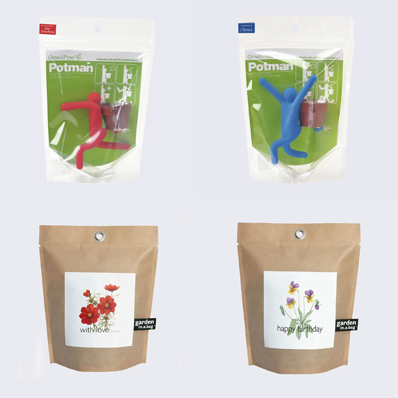 Decorating your space with green life has never been easier. 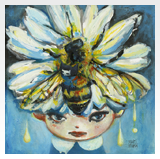 Seattle based artist Enfu's (Ken Taya) new monograph, Enfu: Cute Grit, is finally in our hands. It's a collection of what seems to be everything about his work. If you're a Jawbreaker fan, enjoy it. It's a thoughtful and entertaining talk. Jawbreaker Day has evolved further than we ever imagined. […] Today, Jawbreaker Day is whatever and whenever drummer, Adam Pfahler says it is. 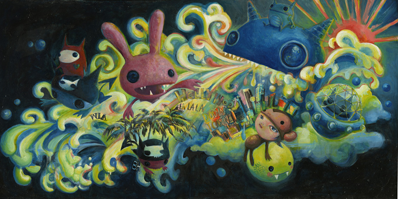 The interview for Getty Iris took place at GR2, and thanks to the author, Sarah Waldorf for the mention of Giant Robot.